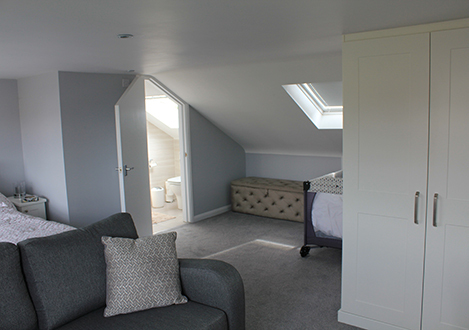 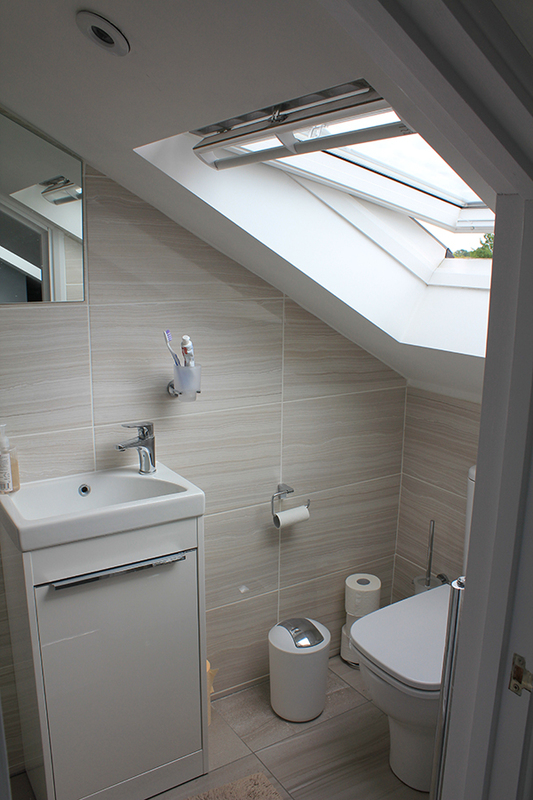 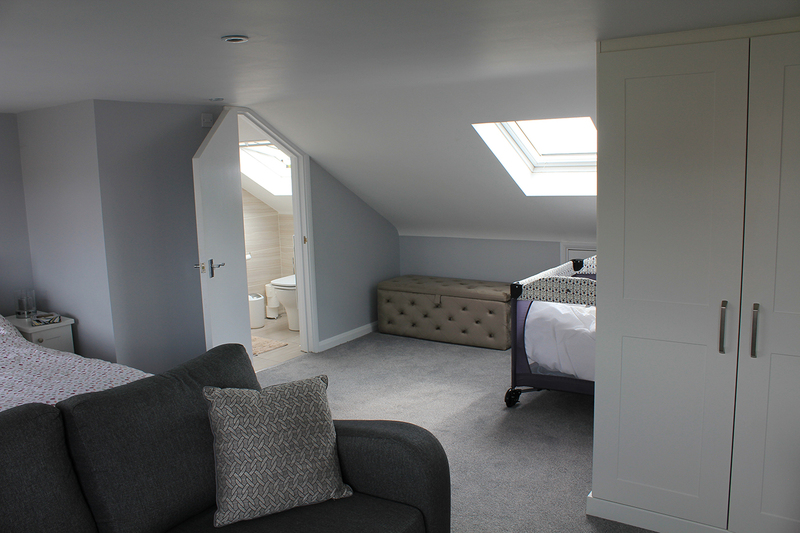 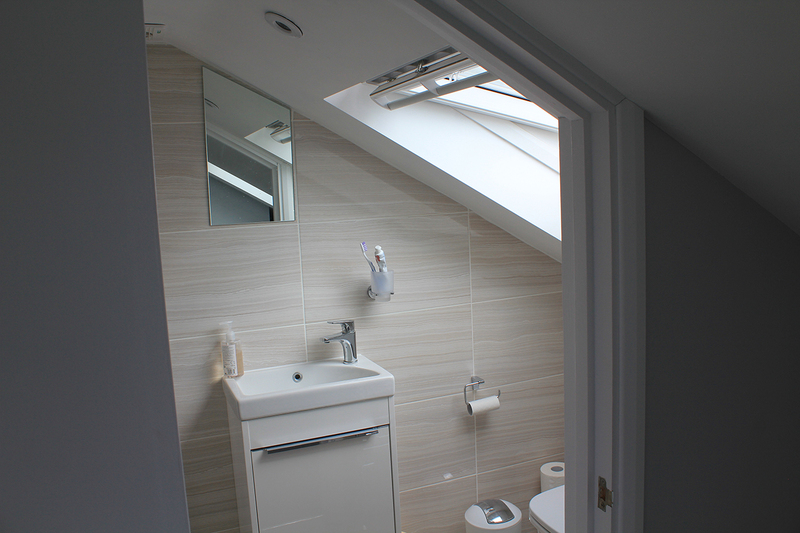 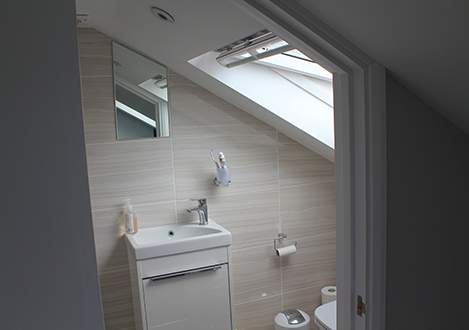 This shows one of our completed loft conversions in Cheshunt. 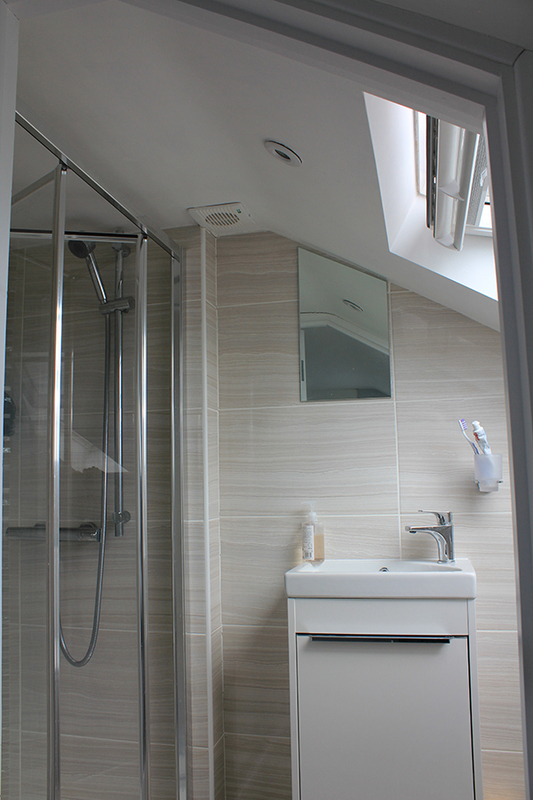 The conversion took approximately 6 weeks to complete. 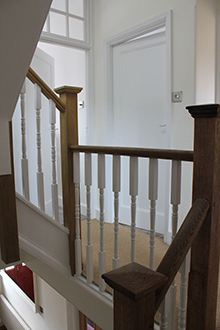 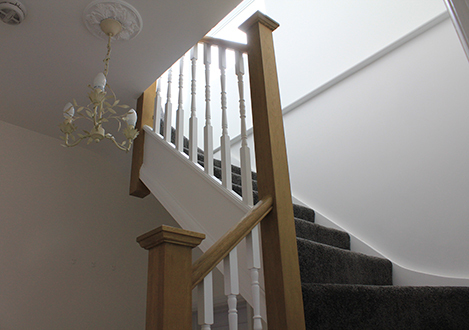 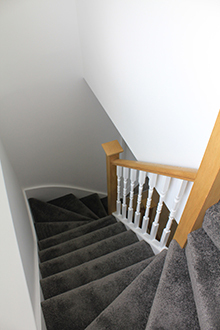 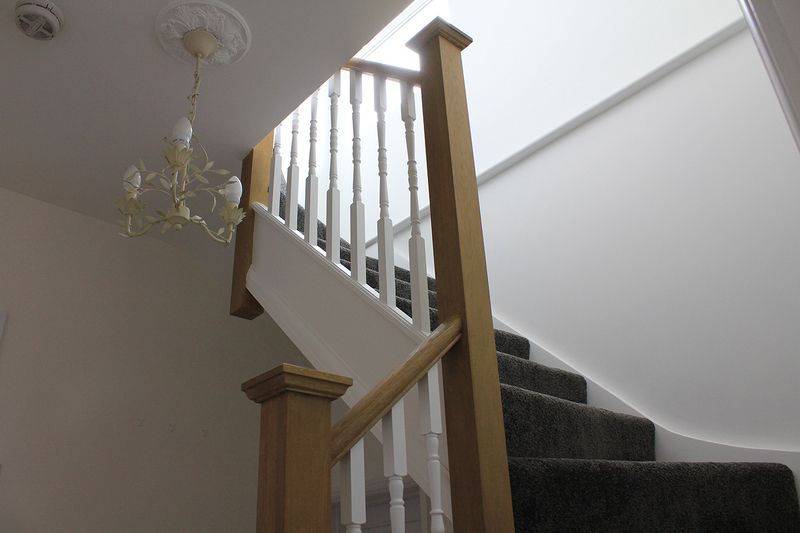 The new loft staircase, which matches the existing, leads up and into a large master bedroom and en-suite shower room. 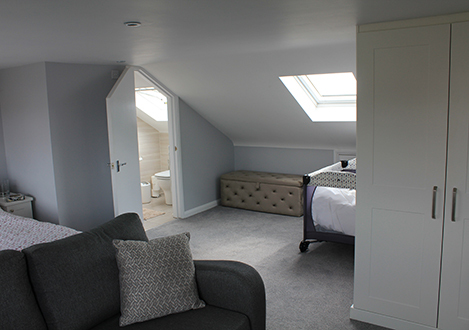 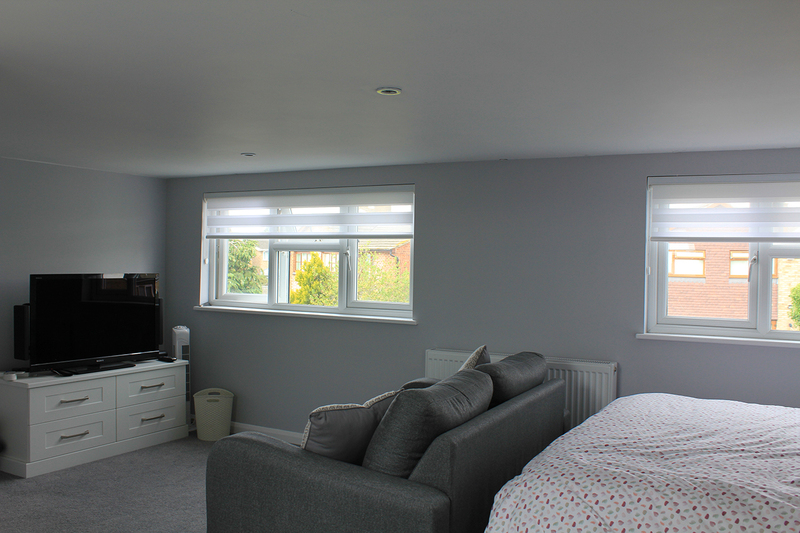 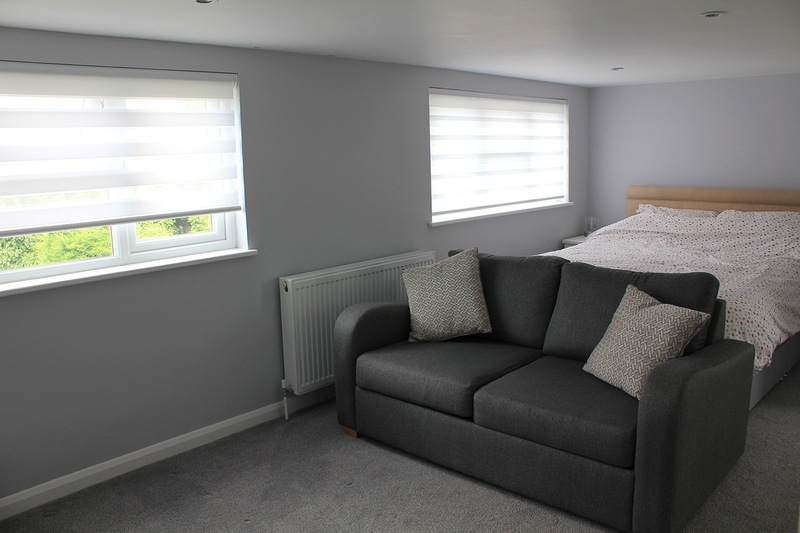 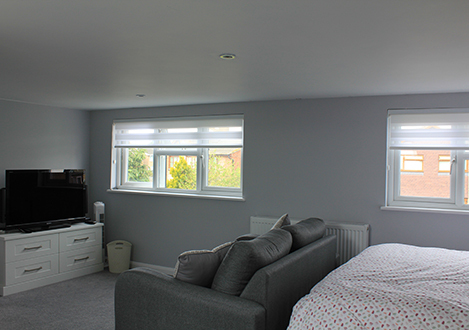 Velux roof windows allow the room to be flooded with natural light helping to create the look and feel of a wonderful loft conversion bedroom for the homeowners to enjoy for many years to come.